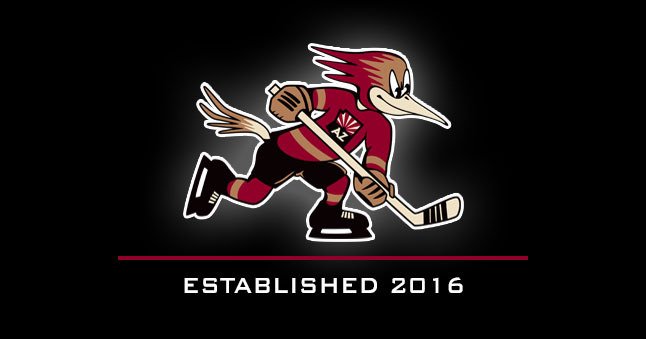 TUCSON, AZ - The Tucson Roadrunners, proud American Hockey League affiliate of the Arizona Coyotes, announced several roster moves today ahead of the team’s game Wednesday night versus the Ontario Reign at 7:05 pm. The Roadrunners recalled forwards Hunter Fejes and Lindsay Sparks from the Rapid City Rush of the ECHL while assigning defensemen Dysin Mayo and Justin Hache to the club. Fejes, 22, made his AHL debut last season with the Springfield Falcons after a four-year career at Colorado College. Originally selected in round 6 (#178) of the 2012 NHL Entry Draft by the Coyotes, Fejes has appeared in 19 games for the Rush this season with five goals, six assists and 11 points. Sparks comes to Tucson after appearing in 21 games with the Rush this season, posting 11 goals, 14 assists and 25 points. An undrafted free agent, the Oakville, ON native turned pro after a four-year career at the University of Michigan and has 194 games of pro action to his credit, all at the ECHL level. Tucson returns to action this Wednesday and Friday night against the Ontario Reign at 7:05 pm. Friday night is the Roadrunners’ First Annual Teddy Bear Toss, presented by iHeart Media, News 4 Tucson and Aviva Children’s Services. All fans are encouraged to bring stuffed animals to the game to throw on the ice when the Roadrunners score their first goal! All toys collected go to children and families in need right here in Tucson. Single game tickets start at just $14 and are on sale now through the TCC Box Office and online at TucsonRoadrunners.com.